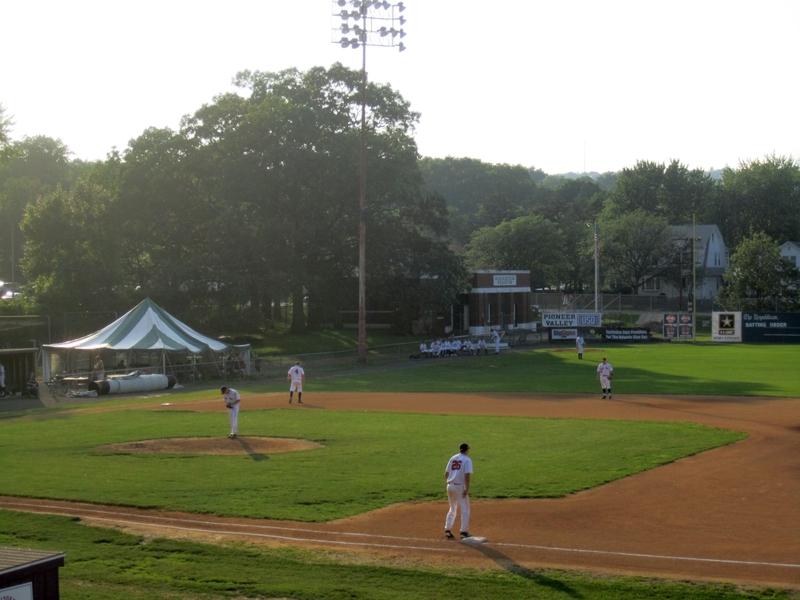 Holyoke MA- While I could not stay long I dropped by Holyoke on my way back to Connecticut to see the first NECBL action since I watched the Torrington Twisters play the Manchester Silkworms (Both teams have since moved.) 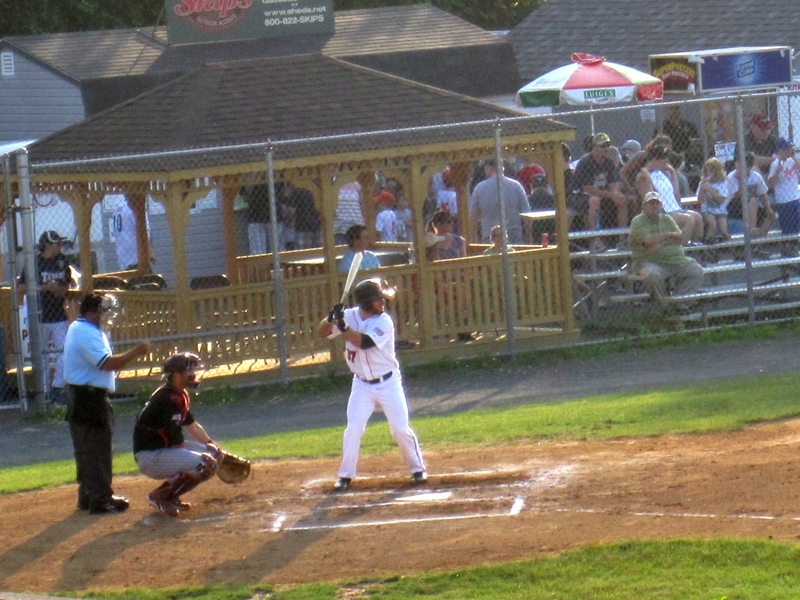 The Danbury Westerners had come up to MacKenzie Stadium to take on the Holyoke Blue Sox. For those unfamiliar with the summer collegiate leagues, essentially these teams are formed of current college players from all over the country, the NECBL , Cape Cod League, and the FCBL are three leagues which serve that function. These games are naturally low priced, quite intimate affairs due to the stadiums they are in, and give a rare glimpse at college players one may never usually see. In Holyoke families and various teams from the youth leagues made their way to the stands. In the short time I was there, Blue Sox pitcher Christopher O’Hare from Yale started off strongly, and Danbury second baseman Chris Waylock (from Iowa Western) robbed the Sox of a hit with his diving catch. And even though the teams are based on region schools, the strong majority of Blue Sox players are from out of the Northeast including a handful of players from California and Utah. The Westerners had a few more players from the region and many from the south and midwest so it’s quite a mix. It’s also interesting to see players who likely just in the past month have gone from playing with their respective teams to working with a whole new group. I hope to take in more games this season. I took some photos though my camera is not the best for such things.